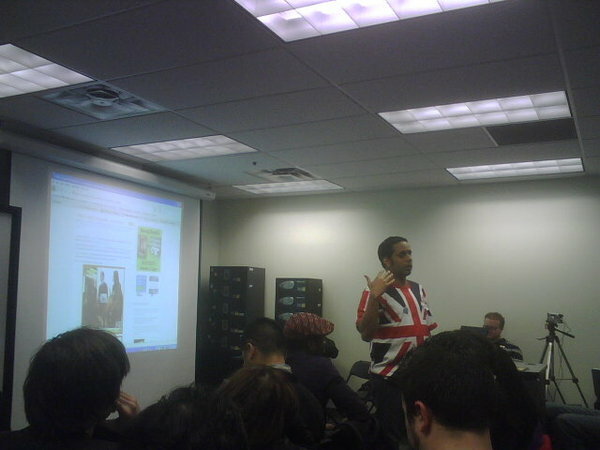 This past weekend I had the opportunity to speak at PodCamp Toronto. 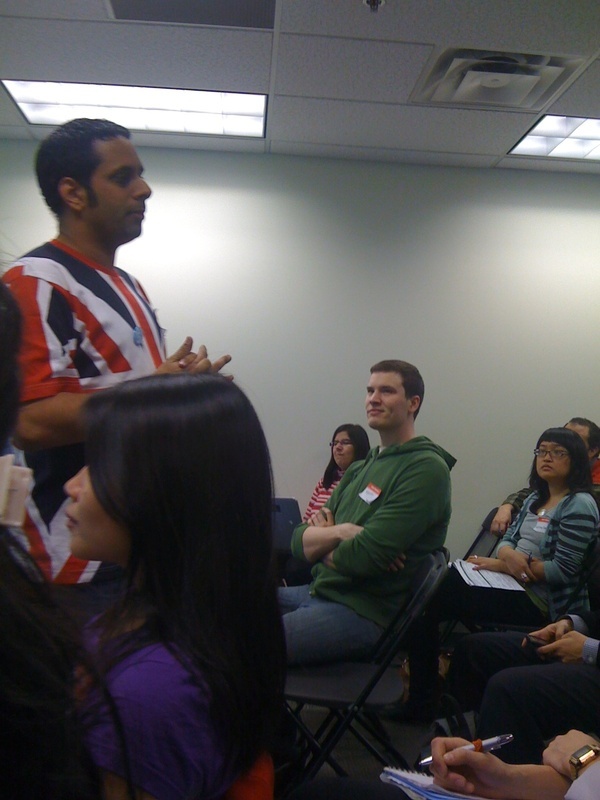 For those who may not know, PodCamp Toronto is organized as an unconference. A conference is a place/event you would go to to attend sessions. An unconference is organized by the attendees. And sessions are led. Which means I didn’t really give a talk. I facilitated a session would be a better way of putting it. PodCamp Toronto is a 2 day event which brings together podcasting and social media enthusiasts in an effort to learn from each other and connect with new and old acquaintances. I attended some really interesting sessions and made a load of new friends. In fact, the best time was connecting with new and not so new friends at a greasy spoon on Saturday evening. I even managed to get invited and go see a Toronto Raptors game. And this by someone I never even knew 8 hours earlier! Amazing! Have multiple slides per argument. People seem to love their power points! Don’t repeat yourself. I don’t like over-preparing for presentations but I think I should start. Always invite your fans. It’s always good to have supporters in the crowd. Don’t be afraid to be real. People appreciate honesty and abhor people who are fake. Involve the crowd. An active crowd is a happy crowd. A special thanks to @coleyeung and @zeppelinsocial for the pics! Video will follow soon.